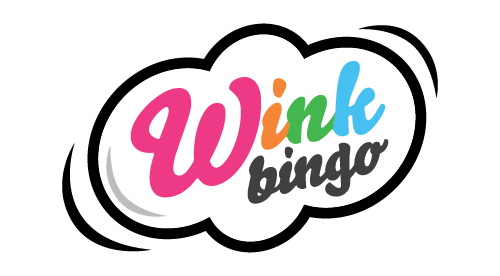 Wink Bingo has been giving people a cheeky look since it launched in 2008. But it continues to keep things fresh and fruity, thanks to makeovers in 2014, 2016 and 2018. Powered by Dragonfish software, Wink delivers a wide range of bingo, slots, jackpot and instant-win games, plus a sound reward and bonus line-up. Wink Bingo was named the Best Dragonfish Bingo Site 2018 at the WhichBingo Awards and currently features an upmarket retro comic style. Expect more twists and turns in 2019. Wink Bingo is powered by Dragonfish, considered one of the web's leading online bingo providers. That gives Wink a powerful platform to deliver an epic range of award-winning bingo games, while also loading up with slots and instant wins. If you need reassuring about the Dragonfish brand, it's worth knowing that it's a sister company to the gambling giant, 888. Wink Bingo's platform and software run seamlessly across standard and mobile devices. However, Dragonfish has a 'mobile first' policy, meaning Wink is very mobile friendly. Wink Bingo's funky retro style and Dragonfish platform, makes it treat for the senses when out and about on your tablet or mobile – or cozied-up on the sofa. The yellow 'Join Now' and white 'Login' buttons are easy to see at the top of the page, and it's plain sailing to create an account. Alternatively, you can scroll down the page or use the navigation tabs to take a look around. But you do need to create a free account to see the bingo or slots for real. In the slot parlour you can search quickly for games if you know the name of your favourites – although you can't filter down by software house, game genre, or type. That said, the range is selective, so it's still likely to be a breeze to navigate for someone with a super sharp mind like yourself. As for the bingo parlour, the day's action is clearly laid out – simply browse the games on offer and click to enter a room. Wink Bingo has become a household name among many gamers, thanks to TV and press coverage, and some hefty jackpot wins. But the site's got no ego – you can play here from 'Free to 50p' a ticket. It has great looking daily bingo games across five categories, with fun themes such as Me Time, Piece of Cake, Mystery Gems, Made it Monday and Smash it Saturday. Outside the free games, Wink Bingo tickets generally cost 2p, 5p, 10p, 25p, 50p or £1. The prizes on offer range from pennies and pounds, to huge bingo jackpots from £150 to £50,000. You can also win other fun non-cash prizes such as luxury goods and experiences. If you fancy a change from the bingo, check out the slot lounge, featuring 40-50 instant win and video slots. The site contains games from many leading software houses, including titles such as Vegas Nights, Cosmic Candy, Queen of Atlantis, Hot Safari Scratch, and Berryburst Max. Wink is a brand that really does try to make online bingo as good as the 'real thing' on Blackpool pier. This includes an effort to build community spirit and dish up some games that feature interactivity, with a bingo caller and player-to-player banter. Clicking on the Promotions tab at Wink Bingo will quickly shower you with a gluttony of bonus promotions. And with a reputation for evolution and freshening things up, it's worth keeping an eye on this page on a regular basis. However, you can typically expect to find a welcome bonus that gives you freebies when you make a deposit between £10 to £100. Wink's bonuses frequently include a deposit match to give you free bingo and slot games, plus goodies such as shopping vouchers. If you play at Wink Bingo regularly, then you can take advantage of seemingly endless bonus promotions on a weekly and monthly basis. This includes Wink Rewards, which lets you play special games to build up points to exchange for shopping vouchers. You can get gaming at Wink Bingo by making a deposit of £10 or more, using major credit and debit cards such as Maestro, Visa & MasterCard – or via Neteller, Entropay, PayPal and paysafecard. Withdrawals can be made from £10 or more and take four to seven days to reach your bank account. You can also reverse a withdrawal inside 48 hours. Any gaming issues can be raised via a free phone line within the UK, or via email. The team is there from 10am to 2am, seven days a week. The addition of live chat would be nice, but the support from Wink's team is friendly and fast. Wink Bingo is doing a grand job of maintaining its individuality, thanks to a cool retro style and goal of always standing out from the crowd. Dragonfish technology means it works like a charm on your mobile, so it's arguably top choice for trend setters. Factor in everything from free play to daily jackpot bingo, and this site just keeps on winking!